Introducing a revolutionary new platform for wallet control. Amplifying a value proposition to drive business results for Anchor Digital. Shaping a captivating online presence to convert beta users. 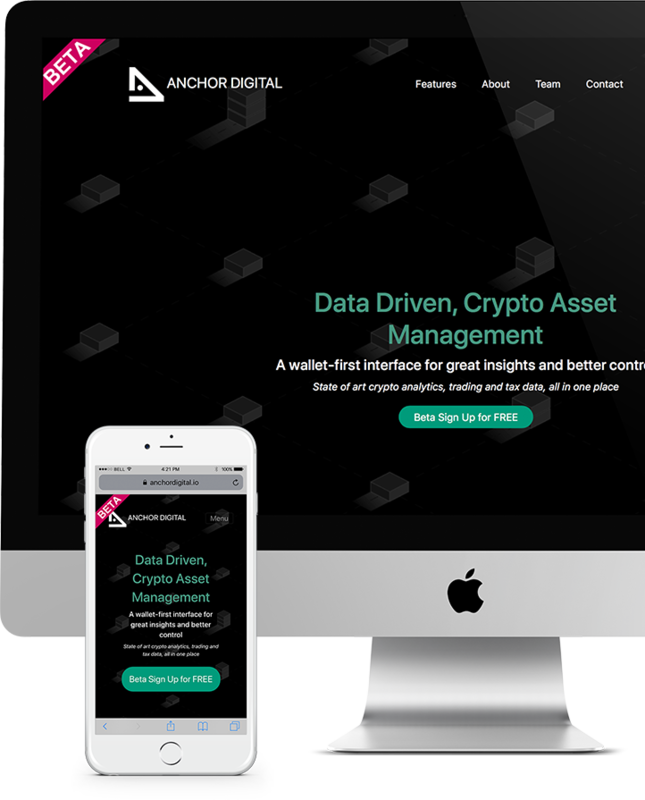 Designed Anchor Digital to be fully responsive across devices with a layout and copy to connect with customers. Highlighting the innovative benefits of the Compass System. Here, conveying utility leads to click-throughs. The beta's success hinges on clear messaging and straightforward design. Every word, carefully written and friction minimized across all touch points. This content-led foundation created a base for marketing to generate subscriptions for a successful launch.